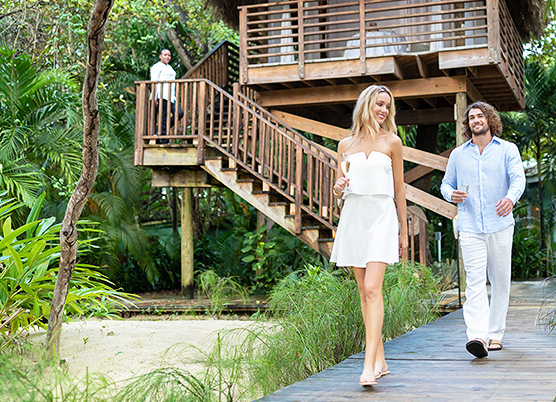 From garden gazebos to an intimate treehouse, from an oceanfront ceremony to a private island reception, you will have any number of fun and diverse venues to choose from for your tropical destination wedding at a Couples Resorts. 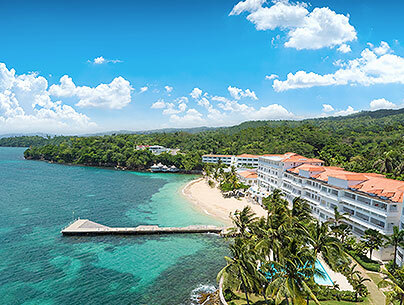 Throw in all-inclusive luxury, beautiful hotel accommodations, delicious food, and thrilling activities and why wouldn't you start your forever, fairytale story with us? 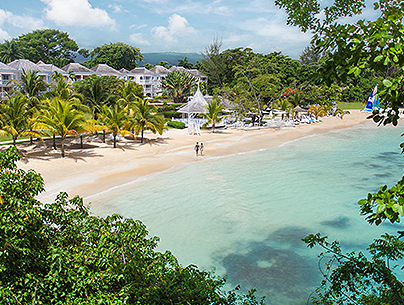 Probably Jamaica’s only treehouse in which you can say “I do” in the company of four friends and family members. 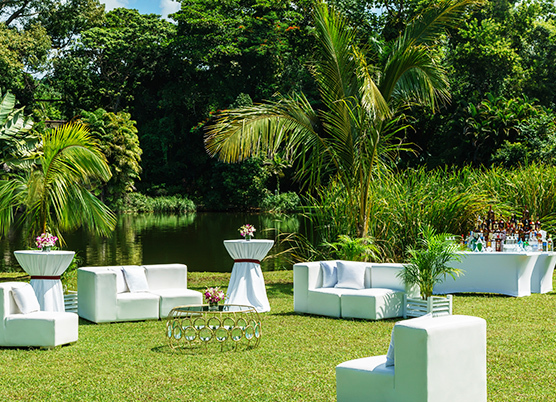 Next to a pond in a lush tropical garden, this special setting can accommodate up to 20 guests. 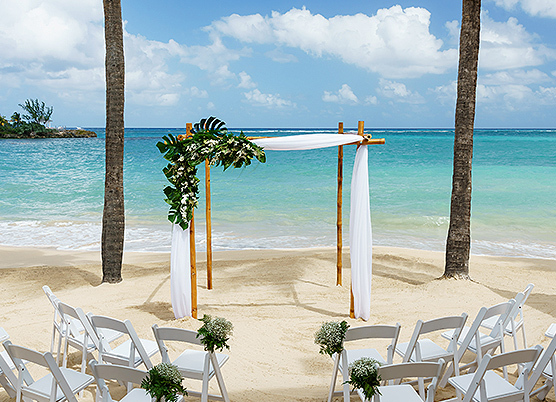 Invite up to 100 guests for a beautiful ceremony right on the water. 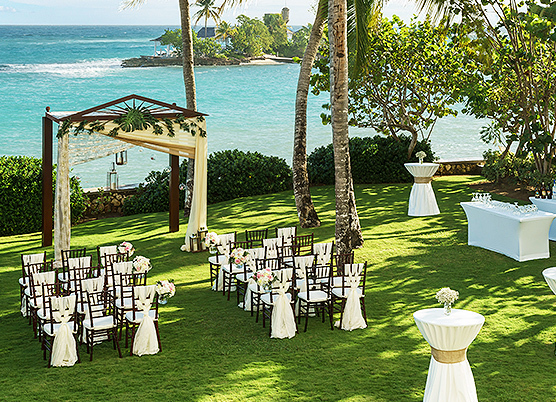 This pretty and private cliffside location is perfect for an intimate ceremony with up to six people. 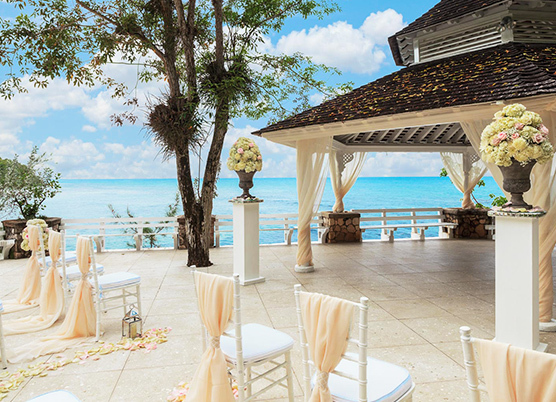 With seating for 60 guests, this ocean-side gazebo is the perfect size for your destination wedding in Jamaica. 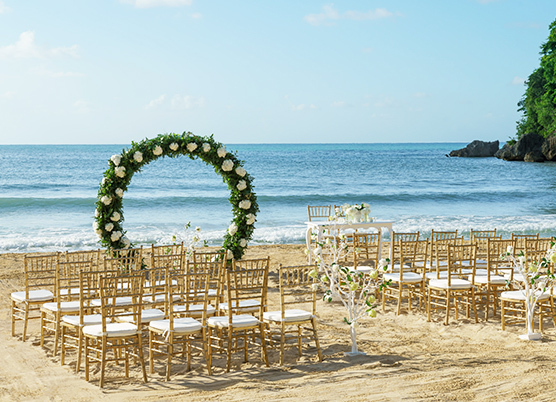 Have a private wedding right on the beach, but only for Group Sunset Ceremonies. 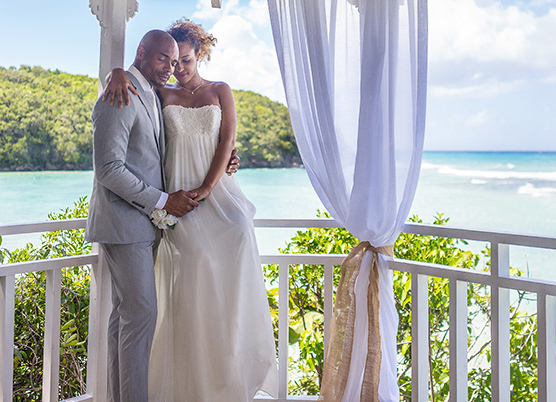 Celebrate your nuptials in a quiet garden oasis, surrounded by up to 100 guests. 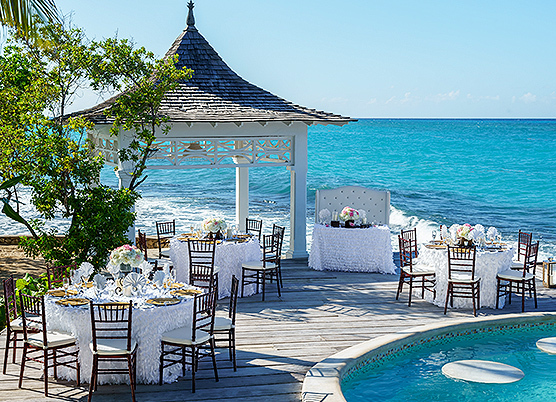 Our signature gazebo, located on the main beach, is ideal for wedding parties of up to 100. 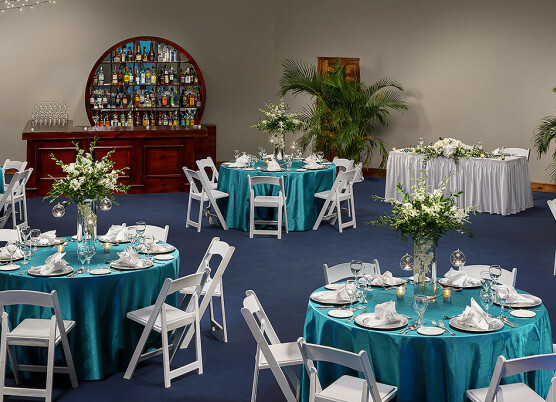 Serene and sophisticated, this sparkling white-on-white indoor space accommodates up to 150 guests. 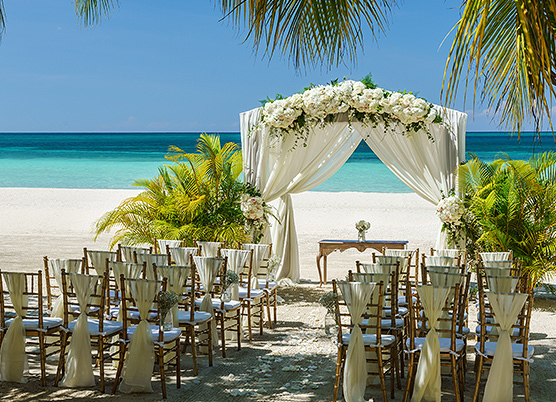 Get married under a canopy of flowers, surrounded by up to 100 friends and family members. 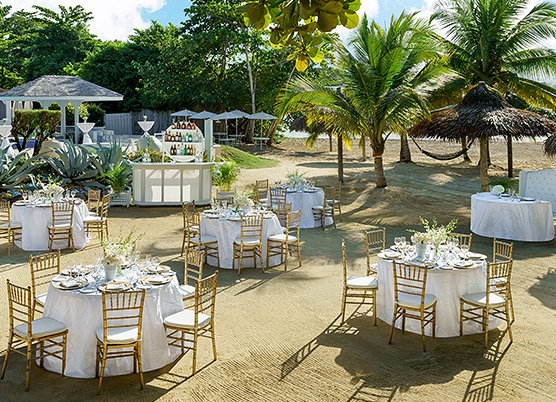 Lush greenery frames a view of the beach from this open-air space suitable for 100 guests. 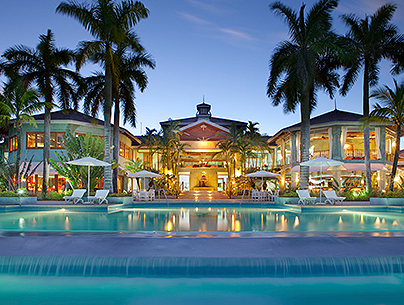 Gather up to 150 guests amid the island glamour of this attractive indoor space. 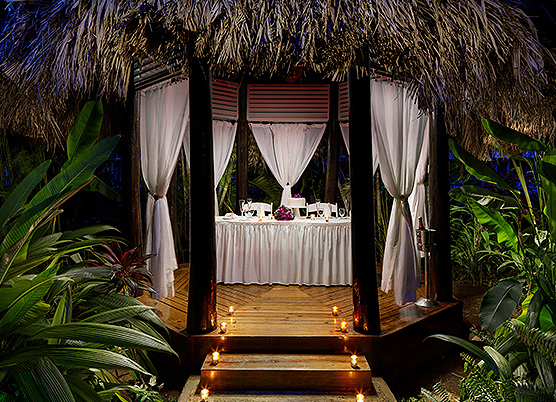 On lush oasis located in the middle of the resort, the intimate Beach Gazebo is ideal for up to 150 guests. 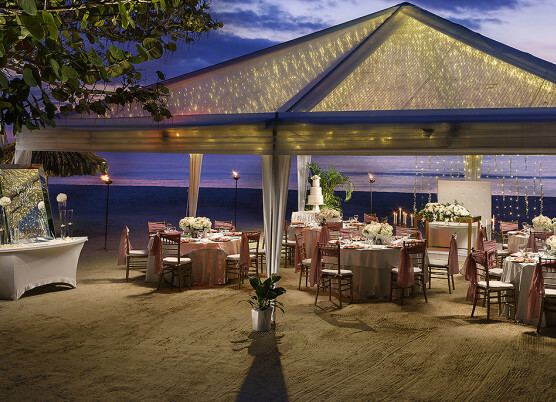 An incomparable outdoor setting for up to 150 guests, your sunset wedding sparkles beneath an oversized tent festooned with twinkling lights. 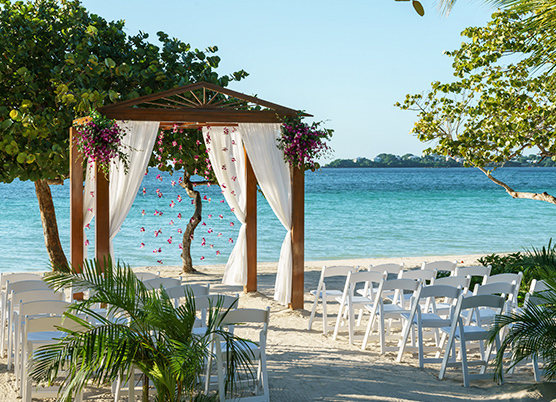 Our island sits just offshore, beckoning bride, groom and can accommodate up to 60 guests for a ceremony and private reception. 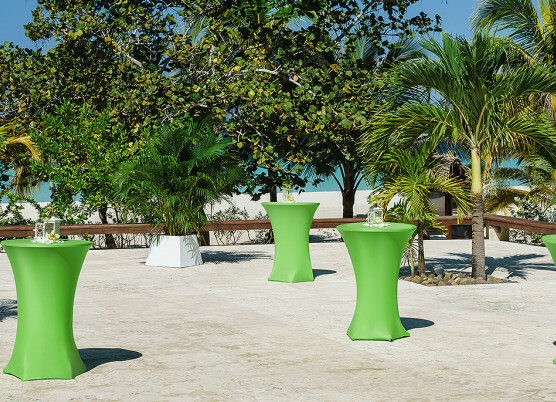 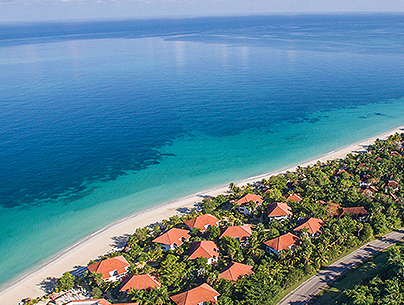 Overlooking the Caribbean Sea, this setting is suitable for up to 100 guests. 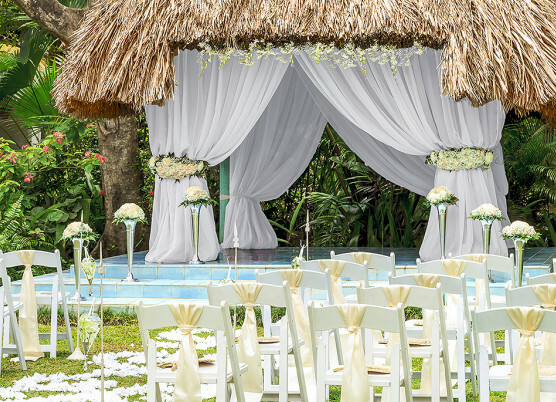 Swaying palms and a bamboo altar set the stage for your vows, surrounded by up to 150 family members and friends.